Vinyl stair treads from Sure-Foot are a great way to conquer slippery surfaces wherever you anticipate heavy foot traffic. 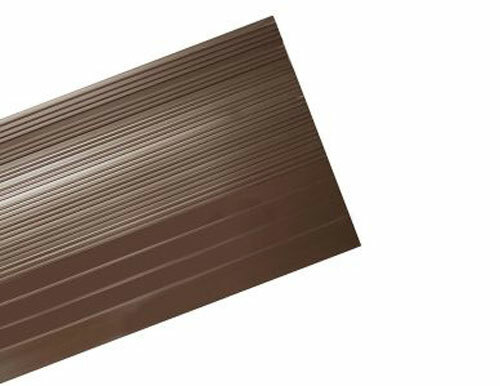 These brown vinyl stair treads provide an anti-slip solution without compromising the appearance of your stairs. Our general design offers a molded vinyl ribbed pattern to cover a large portion of the impact area. Sure-Foot is a leading expert in safety and anti-slip flooring products. Our anti-slip vinyl stair tread covers exceed the ADA recommendations for slip resistance and are manufactured for heavy traffic.